What miracle does God want to work through your church? About thirty-five years ago, Wayne Gordon accepted a job as a history teacher and head coach of the football team at a high school in the Lawndale neighborhood of Chicago. In 1975, this area was one of the poorest and most crime-ridden in the city and few people saw much good coming from there. Still, “Coach” purchased a weight machine and placed it in plain view in a first-floor storefront room below his apartment, for all his players to see as they passed by. Here it was: his players could use the equipment if they met regularly with him to talk about life and explore what the Bible had to say about some of their most pressing questions. Seven of them took him up on it, along with their girlfriends. Soon more came and Wayne spent hours upon hours with them, being present and listening and engaging them in spiritual conversations. Everyone in the original group eventually became followers of Jesus. 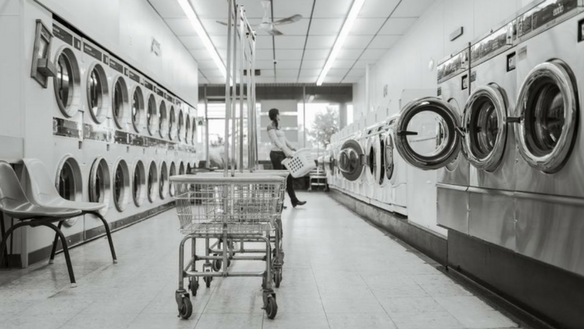 Then–prompted by the Holy Spirit–the group opened up a laundromat! And over the next few years, hundreds of people’s lives intersected because they needed to wash their clothes. This was the beginning of Lawndale Community Church. Then came the renovated apartments, the medical clinic and hospital (which today sees 450,000 patient visits a year based on what people can afford), the drug and alcohol rehab ministry called Hope House and a development corporation that’s been renewing the neighborhood one house and one business at a time. All of what has happened in Lawndale since its simple beginnings has been dubbed “the Lawndale Miracle”–the result of a growing church choosing to follow the Holy Spirit’s promptings to be the presence of Christ in its community. God’s presence is not always obvious. He requires witnesses….Presence is how God works…. [and] he becomes visibly present through a people who make his presence known. God’s plan is to become present to the world and through a people, and then invite the world to join with him. How does this happen?…We participate in his work in the world, and his presence becomes visible. The world then sees God’s presence among us and through us and joins in with God. And the world is changed….This is the church. And this is how God has chosen to change the world. But how does a church make God’s presence known in the world? Every church wants to be a witness–a “faithful presence.” How can your church be as effective as Lawndale is in its community? You begin with the basics, just like Coach Gordon did, noticing who’s around you, welcoming them into your life, listening to them and asking them questions, praying for them, meeting regularly with them so that you can engage in spiritual conversations about faith and the Bible. Q Place would like to invite you on a journey to help you do that. Designed for any group in your church to work through together, The 9 Arts Primer is a companion to The 9 Arts of Spiritual Conversations book. Together, these two resources provide the basic pathway believers need so that they can become the loving, intentional presence of God in their community. Could it be possible that God wants to work a miracle through your church, too? God wants to give us what we say we want! The Bible? I don’t like the Bible!